The Maserati has been enshrouded in mystique since it first came to the United States. Its luxurious amenities, superior performance, meticulous design and legacy of excellence have made it a preferred brand for those with bigger pocketbooks. Thanks to Car Leasing Bronx, however, this is about to change. 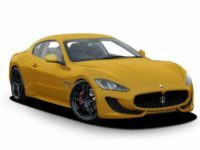 We are firmly committed to guiding our friends and neighbors in Bronx toward fair, honest and affordable Maserati car leasing. 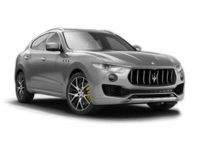 Offering the largest selection in NYC, the best new Maserati leasing deals and a convenient and hassle-free application process, Car Leasing Bronx is ready to get you into the Maserati you’ve always wanted. Call us today at 347-523-5600. You can start shopping for your next Maserati by browsing our Internet showroom and connecting with a member of our sales team. We are ready to facilitate your transition to this one-of-kind, exhilarating driving experience. Call us now. 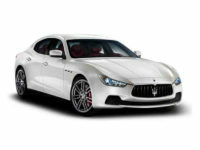 Many buyers and lessees make the mistake of thinking they’ll never afford a Maserati even if they choose to lease one. They get discouraged by the traditional leasing process, which usually includes spending hours of valuable time and energy at multiple dealerships looking for the car you want only to be overcharged and tied to a long-term lease. 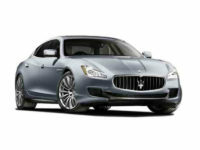 At Car Leasing Bronx, we’re determined to reverse this trend by offering flexible and convenient Maserati lease deals. Whether you’re new to the brand or a lifelong enthusiast, we will help you get into your new Maserati today with minimal headache, hassle and expense. Car Leasing Bronx combines affordability, personalized service, the latest makes and models and flexible lease agreements to deliver you the ultimate car leasing experience. We understand that this process can be confusing and overwhelming, and we are committed to getting you into your next car or truck. We offer free delivery to your home office, a convenient online shopping experience and early lease termination for eligible customers. We have relationships with dealerships all over the area to give you the best possible range of options. Call our experienced and qualified leasing professionals today at 347-523-5600 to start the shopping and leasing process.